This effort has definitely involved a few people - I'm sure as we go along it will include more. A big shout out to Randy for everything he went thru getting this engine together. And thanks to Alan for volunteering to brave Denver lunch hour traffic to pick it up. The learning curve is fairly steep -- and Randy keeps asking the hard questions so I don't forget how steep it is and how much is left to climb! The goal is to keep the "image" and soul of the FJ intact, but it will morph a bit as we gain experience and learn as we go. I'd love to do Texas! Work has got me clobbered in Sept and Oct. That weekend in October I will probably be bringing an airplane back from Jordan. If it goes as planned we'll be starting over the N Atlantic about that time. Where are you located in AZ? End of Sept I think I'll be in Phoenix for a couple weeks conducting some training - not sure which airfield we'll be working out of yet. Seems when I had to replace the fuel pump -- I got a bad replacement pump... ...needless to say I'm pretty bent about that one! I've been working ( more like ) on this thing daily for two weeks trying to get it cranked. Thought I had a pretty good handle on tuning with the microsquirt system - but have really been doubting my tuning abilities through all this. 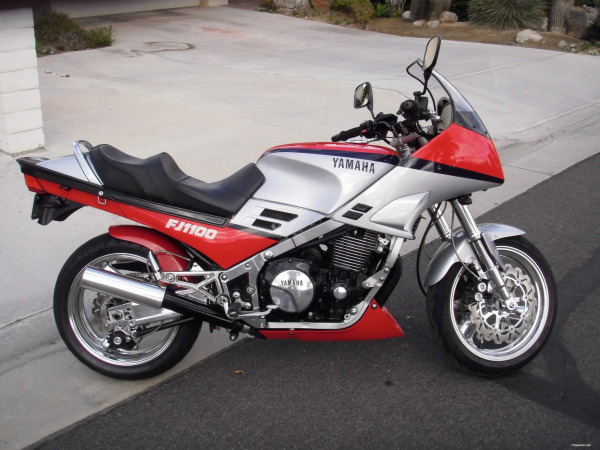 After all, I had tunes from both a stock FJ1200 and a modified 1314 to work from -- how hard "should" it be? Well, hard enough to keep me from getting this thing to run for two weeks! I could consistently get it to crank, and got to where I could usually get it to run for a little while at a slow idle - but only in cranking mode. After it went into run mode (with after start enrichment and warm up enrichment added) it would stumble - sometimes catching itself in crank mode, but usually dying. I finally managed to get to where I could get it up to operating temp and occasionally run for a short period of time in run mode -- and a few times got it to run long enough to come out of after start enrichment fuel only to die as the pulse width decreased to just the warm up fueling. Problem was all my settings were VERY rich to get to that point. Like 5-10 times the amount of fuel that I thought "should" be needed. The most important part of tuning is to give the engine what IT wants -- not what YOU want it to have. But in the back of my mind it kept nagging at me. With each "new" tune, different ECU settings, injector swap, fuel swap, etc it kept coming back to the same situation of needing to be very rich to crank and run and somewhat idle - but wouldn't take any throttle. Checked for vacuum leaks, throttle body issues, ignition issues, anything I could think of or was recommended to me to pursue. Finally got past being stuck on a vacuum leak and started thinking about fuel delivery issues. Last night I fabricated a way to splice in a fuel pressure test gauge to the system. ZERO fuel pressure. WTF!!! The new pump was bad. I suddenly went from seriously doubting my abilities to tune the microsquirt system to complete disbelief that I got the engine to run at all - much less run long enough to get up to temp. -- on gravity feed only to the injectors! I temporarily hooked up the old 1999 Hayabusa external fuel pump ( a huge monstrosity I started with almost three years ago) and reinstalled a baseline tune -- it started and ran first try! I still need to tweak the crank and warm up settings and do a full tune - BUT IT'S ALIVE! I'm out of town now thru the weekend - so setting this thing set up properly will have to wait until next week. Glad you found the fuel pump issue. It's probably a good thing you didn't get to make a nitrous run, and have the thing fail mid-pass. Sounds pretty cool...looked up the micro-squirt. But how does the MS get a signal to fire the injectors? From a XJR crank rotor. The injectors fire in batch mode. A cam angle sensor is needed for the injectors to fire secquentally. Jeff - like Pat said I'm using a late model XJR toothed wheel - though I've gone through a few iterations getting to this point. Microsquirt can be used numerous ways - fuel only, spark only, or fuel and spark. People have even used them to control secondary injectors independent of the ECU -- or there is even special firmware to use for a transmission controller. For a fuel only install, it's possible to take the tach signal off the coil ground - or to piggy back the stock pick ups. For ignition control you need a minimum of a toothed wheel on the crankshaft for wasted spark (same as used by the stock FJ system). Thanks...I was wondering if the stock pickups might work. Finally had about 45 minutes to spend getting the engine up and running with the temp fuel pump this evening. Took 3 or 4 iterations reducing the cranking pulse table in 10 percent steps and increasing the warm up on 10 percent steps 4 or 5 times as well as the after start enrichment 1 or 2 times. It now starts quickly and is fairly stable while coming up to operating temp. Also responds reasonably well to the throttle when free-revving. Should be good enough to start some road tuning tomorrow! A little work getting done on the race bike over the winter. First is de-modding the fairing and putting it back on the original mounting points and reinstalling the stock cooling scoops. 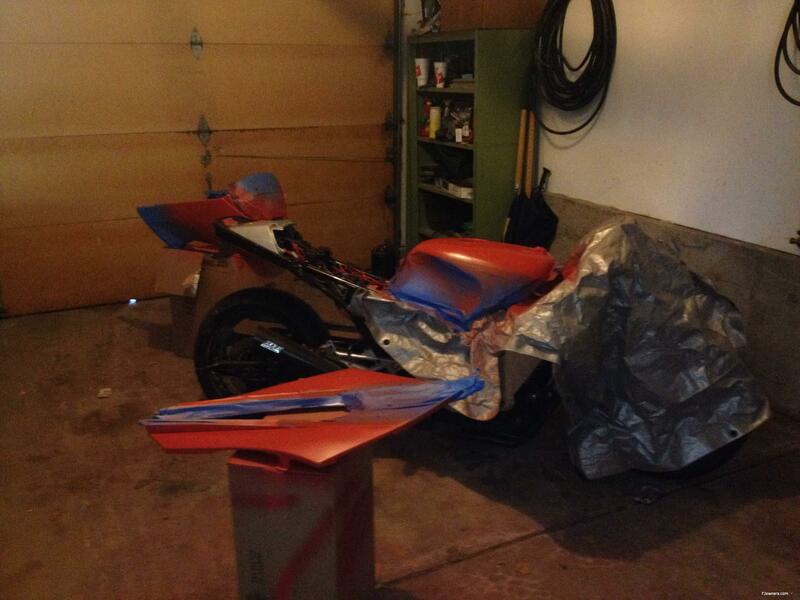 At the same time taking the oil cooler out of the fairing and moving it back to the stock location. The purpose of all this is to make sure the engine benefits from the cooling systems as Yamaha intended. 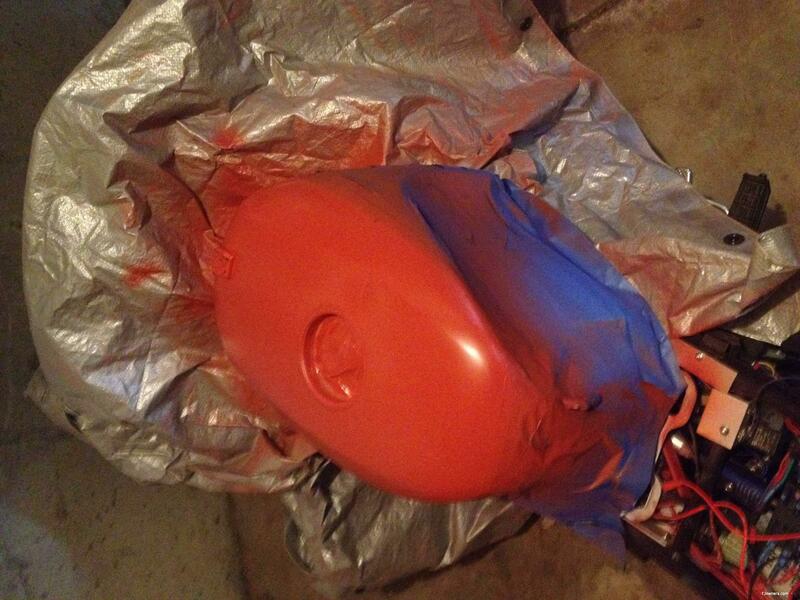 Since there's quite a bit of cutting out fiberglass work, the fairing needs to be repainted. Although I really like the 84 silver and red paint scheme -- I haven't been able to find a good rattle can silver (tried maybe 10 different brands/colors). So - time to change it up a bit. Still want to keep the "classic" FJ look -and make it easy to touch up. Decided to go with a satin white and satin red in the same scheme as the 84 silver and red. I painted a white base coat about 6 weeks ago. It's gotten cold enough now I had to move a couple space heaters into the garage - still a bit colder than the recommended temp but seems to have worked well. The red turned out to be a more "brick" than I wanted, but will work for a season or two - and it got the approval of my 8 year old daughter. I ordered new decals from doityourselflettering.com. They aren't an exact match but I think they'll look good. 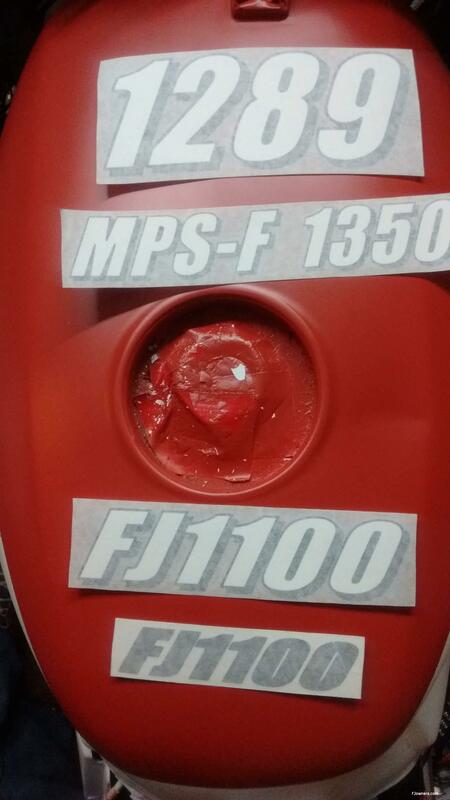 The bike number and class will go on the side of the fairing, the FJ1100 for the sidecovers, and the small Yamaha for the tail. I've also got the Yamaha decals for the tank and black sheets to cut for the stripes from tapeworks when I first put the drag bike together. Next will be taking it to the dyno late Feb or early March. Anxious to see the torque curve and see how it relates to gearing and speed. 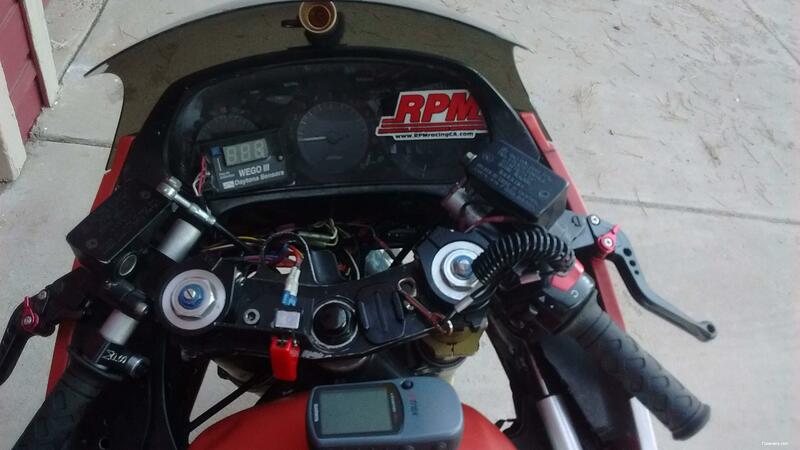 Also want to use the dyno to help tune the added fuel and spark retard for the nitrous -- and see what it does! Big change for this year - bike is ready! Finished up paint and decals. Street rims and tires in place for now. The microsquirt is up and running (with a good fuel pump!) with a decent street tune on Sunoco E85R with Subaru WRX STi "pink" injectors. 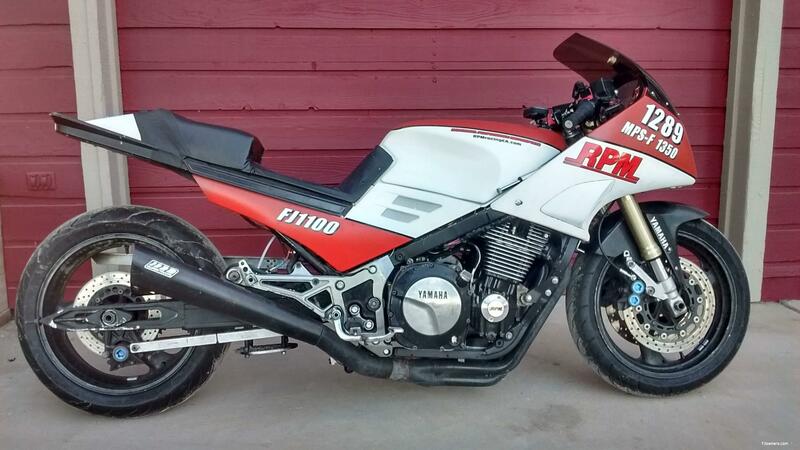 The plan is to go to the dyno at MadMoto in Denver next month. Want to get a good idea of the power curve, tweak the high rpm area of the fuel map, and calibrate the first level or two of the nitrous jetting. Then Bandimere opens late April. 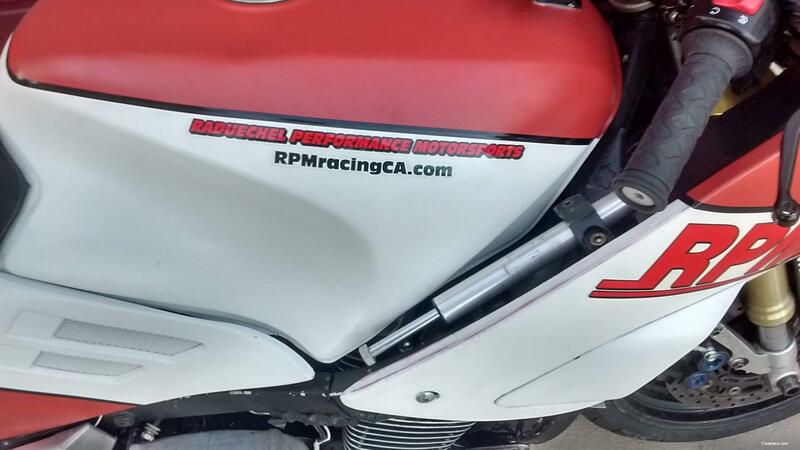 Plan there will be to simulate the first part of a land speed run vice a full-on drag strip run. The focus will be to make sure all the systems are working together well - air shifter and ignition kill time, the activation of nitrous by gear, progressive nitrous controller settings, and the dry nitrous fuel and ignition settings in the microsquirt. In mid June they are running the Pikes Peak Airstrip Attack at the Colorado Springs airport. It's a half mile event - another chance to prep for the Colorado Mile. The event includes side by side roll races (cars only) and 1/2 mile trap speeds. Have to see if an upcoming overseas contract is going to conflict with this event. Then the Colorado Mile will be Labor Day weekend. Should be ready this time!